Inherited curve and shape of concept cars with CARBON elements, the unique and powerful design offers unlimited customization options to gamers. Satisfy gamers with what they really need, B360 GAMING PLUS equipped with all the crucial gaming weapons and ready to deliver top performance for gamers. 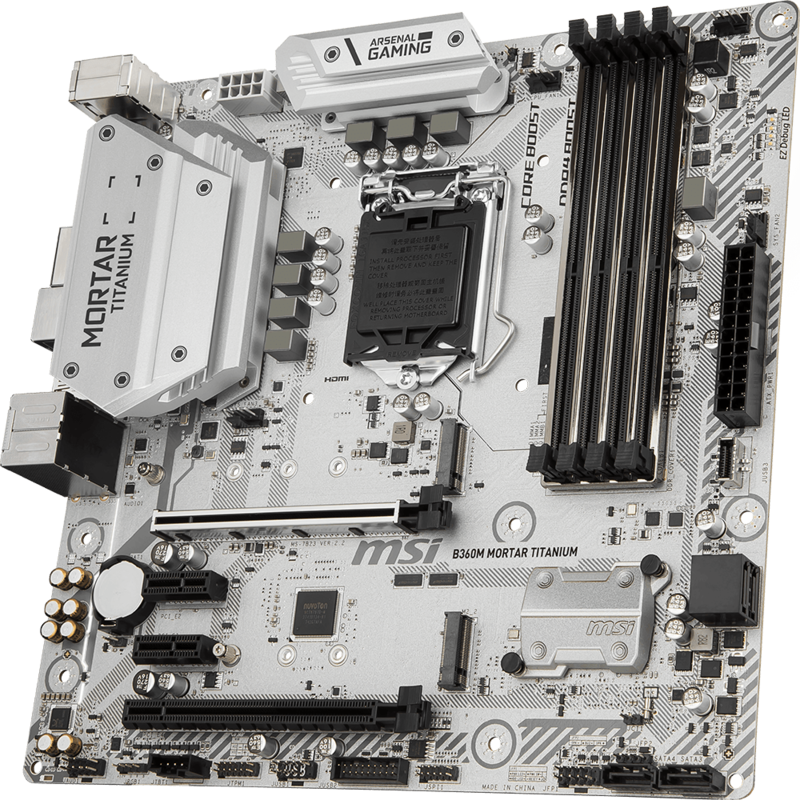 Combining military concept with titanium-scheme look and feel, B360M MORTAR TITANIUM motherboards provide excellent stability and reliability for gamers. 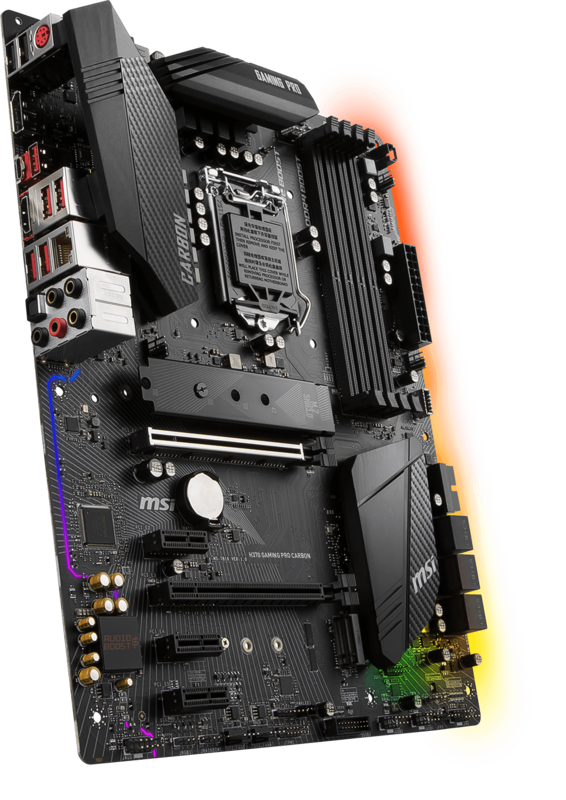 Inspired by the military concept, the stronger, tougher, and heavier design offers excellent stability and reliability for gamers with solid components. 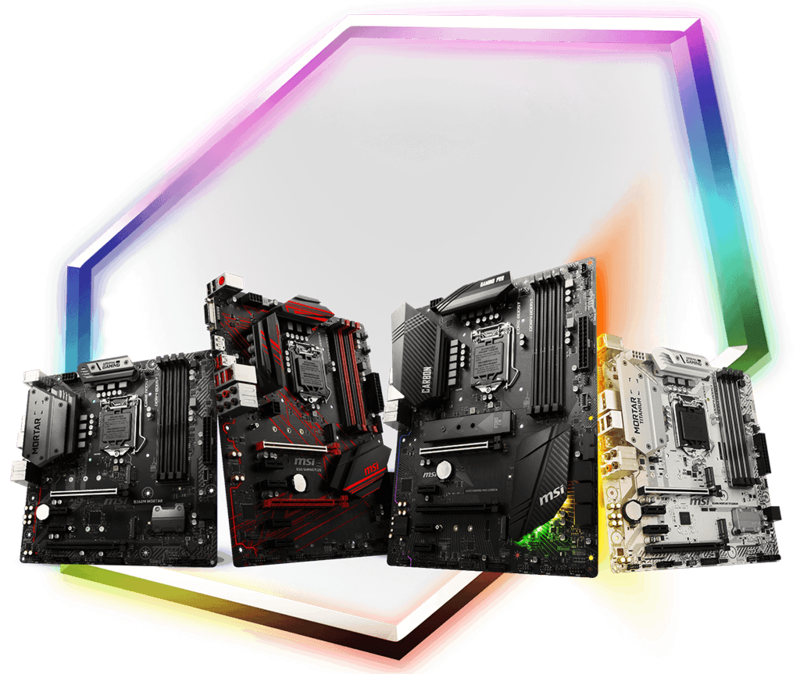 H370 GAMING PRO CARBON motherboards inherited curve and shape of concept cars with CARBON elements. 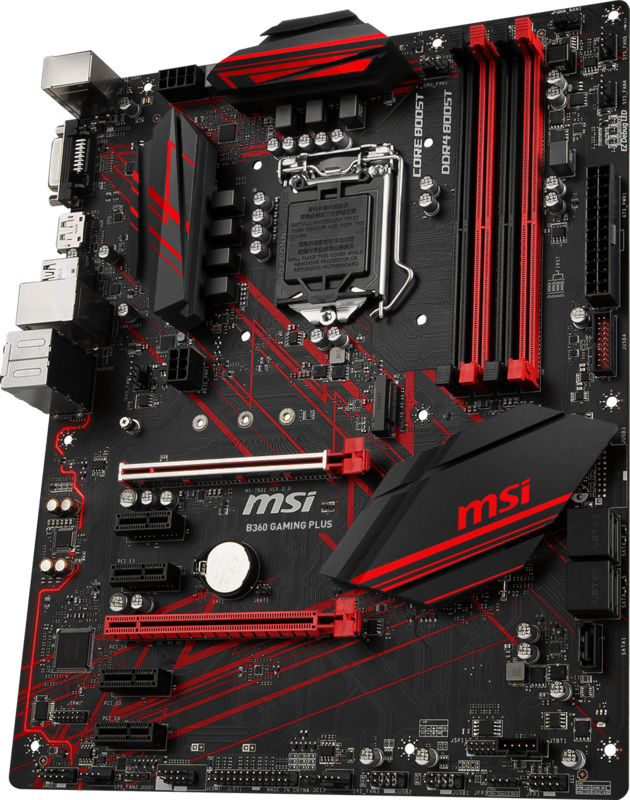 The unique and powerful design offers unlimited customization options by using MSI Mystic Light RGB and also tuned for great performance. With plenty of features, H370 GAMING PRO CARBON tailored to give gamers the best gaming experiences. 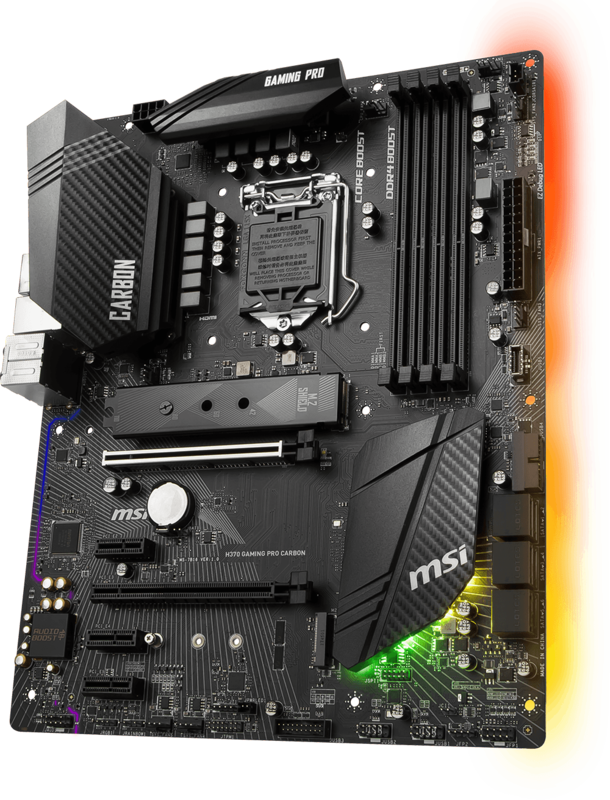 Onboard M.2 thermal solution to keep M.2 SSDs safe while preventing throttling, making them run cooler & faster. Satisfying gamers with what they really need, the B360 GAMING PLUS is equipped with all the crucial gaming weapons. A legacy spirits comes back to life with lightning fast performance enabled by an optimized design and high quality components. Red GAMING DNA lives on! 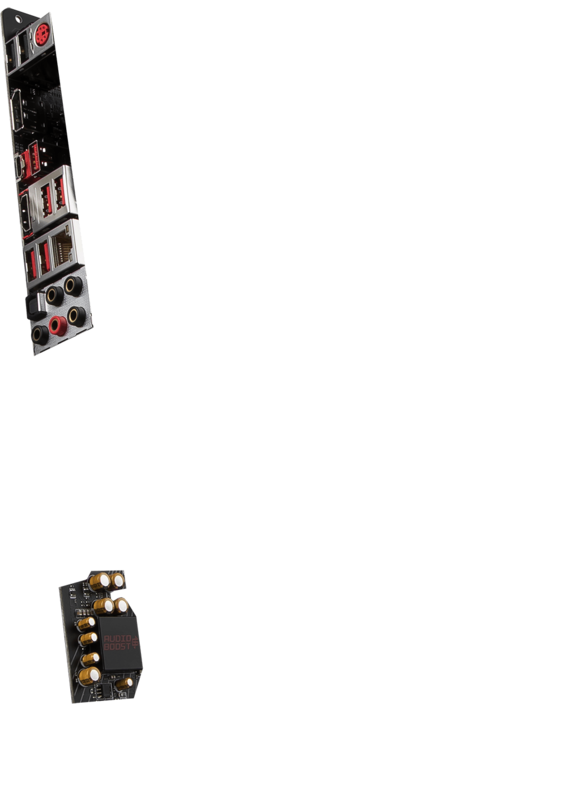 Running at PCI-E Gen3 x4 maximizes performance for NVMe based SSDs. 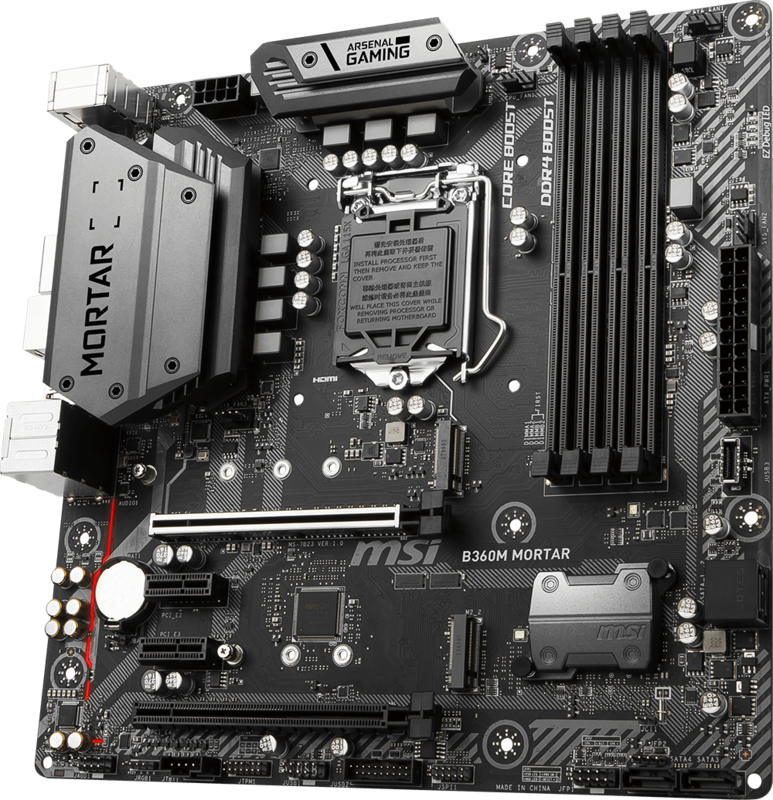 Inspired by the military concept with stronger, tougher, and heavier design, B360M MORTAR motherboards offer excellent stability and reliability for gamers with solid components. 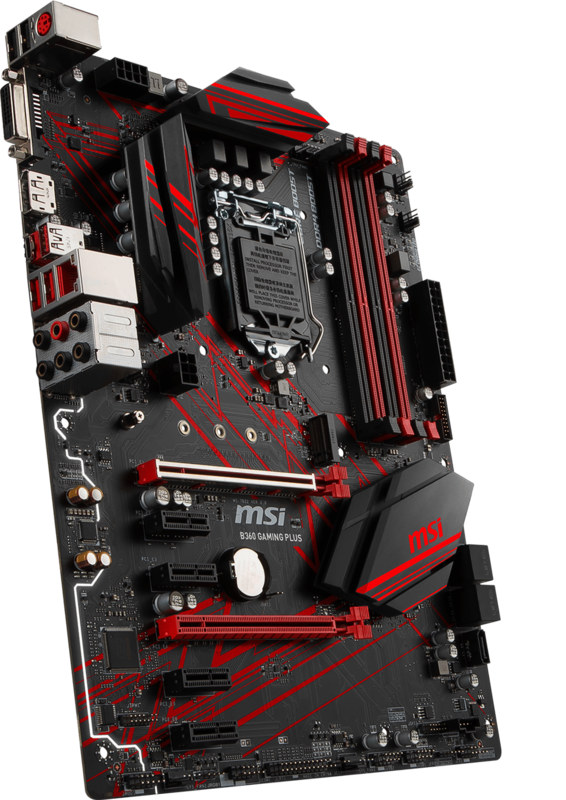 Together with MSI exclusive gaming features, MORTAR can conquer the battlefield for any game. With 2 x M.2 slots . Running at PCI-E Gen3 x4 maximizes performance for NVMe based SSDs. 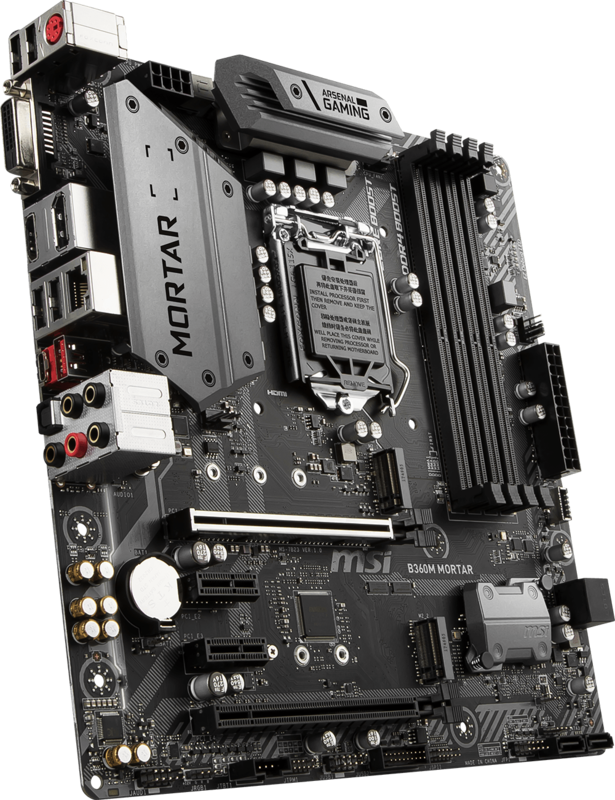 Combining military concept with titanium-scheme look and feel, B360M MORTAR TITANIUM motherboards provide stronger, tougher and heavier design and solid components with excellent stability and reliability for gamers. 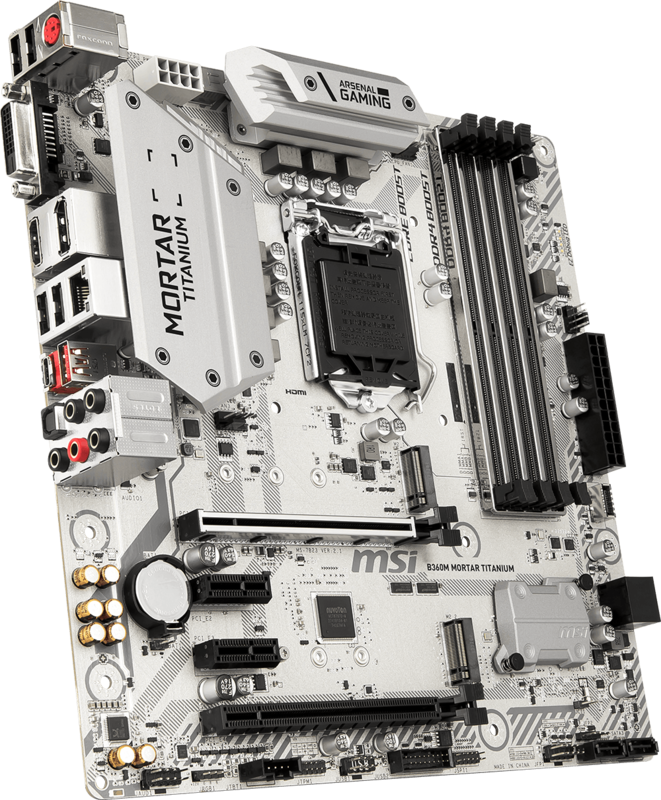 Together with MSI exclusive gaming features, MORTAR TITANIUM can conquer the battlefield for any game.